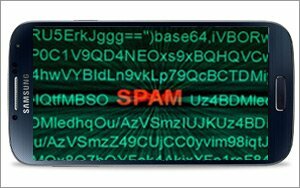 Earlier this year, federal judge in Illinois ruled that Yahoo must face a class-action lawsuit for allegedly sending unsolicited SMS messages to some Sprint customers. Yahoo is now asking U.S. District Court Judge Manish Shah to rethink that ruling in light of the Supreme Court's recent decision in a lawsuit brought by a consumer against the online data broker Spokeo. The battle centers on a Yahoo Messenger feature that converts instant messages into text messages. Two consumers -- Rachel Johnson and Zenaida Calderin -- alleged in court papers that they received at least two messages through that feature. They said one of the messages came from other users, while the other -- a "Welcome" message from Yahoo -- explained the first one. The lawsuit deals only with the "Welcome" messages. Johnson and Calderin alleged that Yahoo violated the Telephone Consumer Protection Act, which prohibits companies from using automated dialers to text people without their consent. Calderin sought to serve as class representative for T-Mobile users who received messages from Yahoo in April of 2014, while Johnson sought to serve as representative for Sprint users in March of 2013. The judge rejected Calderin's request because she allegedly consented to Yahoo's terms of service, which provided that the company might send SMS messages to people. But Shah found that Johnson, who did not agree to Yahoo's terms of service, was typical of other Sprint customers and could serve as their class representative. Yahoo now says the case should be dismissed based on the Supreme Court's recent decision in a lawsuit against Spokeo. The court ruled in that case that an Illinois resident could only sue Spokeo for allegedly displaying incorrect information about him if he could prove the errors caused a "concrete" injury. "A plaintiff must demonstrate that a purported statutory violation caused her to suffer an injury in fact -- specifically, an injury that is both concrete and particularized," Yahoo writes. "Johnson has suffered neither." Yahoo argues that Johnson wasn't harmed by the messages, given that the phone belonged to her employer, who was on an unlimited data plan. "There was no incremental charge for the receipt of any text, including the Welcome Message -- neither the subscriber nor Johnson was charged for Johnson’s receipt of the Welcome Message," Yahoo writes in court papers filed on Tuesday. Johnson counters that the Yahoo injured her in several ways. Among others, Yahoo allegedly "caused a nuisance and wasted plaintiff’s time," and also "occupied the memory of plaintiff’s cellular device." Shah will hold a hearing about the matter on July 22.